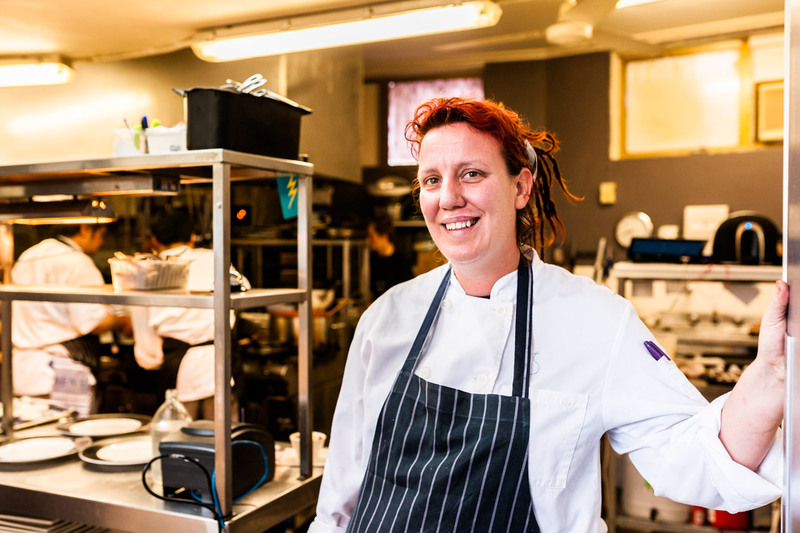 Stop one was Lyndoch Hill for our first meal of the day and a meet and greet with head chef Alana Brabin. She took me through the gourmet breakfast menu and explained the importance of focusing strongly on ethically and locally sourced produce. ‘We’re a small business and we want to support other small businesses’. All the vegetables (except tomatoes) and herbs are grown on the property, the bread is baked in-house and all the meat comes from the local Lyndoch area. The bacon pig was called Mel. 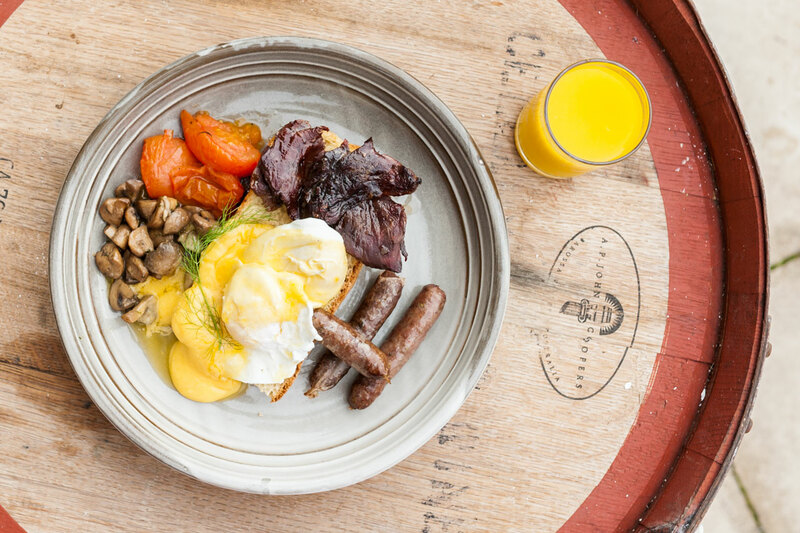 Highlights of the menu include The Gamey Gourmet, featuring poached eggs, house made kangaroo bacon, venison chipolatas and a smoked hollandaise sauce. Another favourite is the Green Machine, eggs Florentine with spinach and hollandaise on a squid ink Brioche bun from local bakery Bar 41. 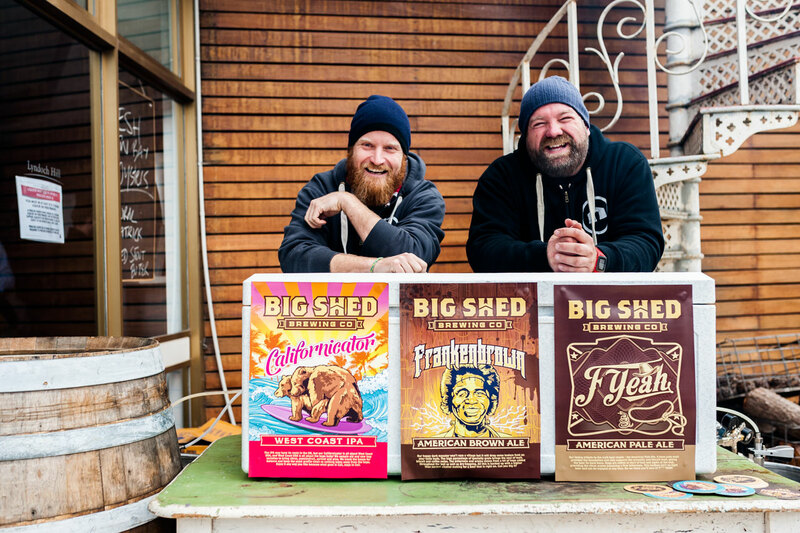 After breakfast I went outside to have a chat to Jason and Craig, the boys from Big Shed Brewing Co. For the event, they have brought along three of their beers tapped from their ‘miracle keg’ (a super fancy Esky). 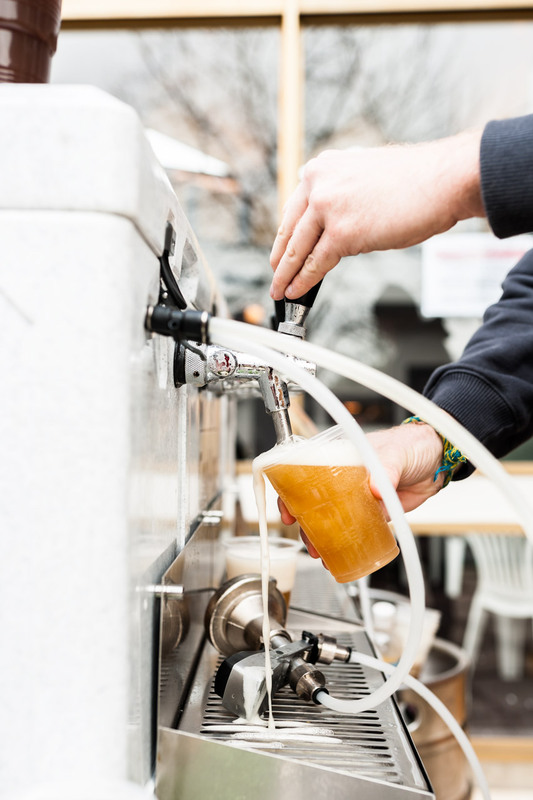 Today and tomorrow they will be slinging their ‘Californicator’ West Coast IPA, ‘Frankenbrown’ American Brown Ale and ‘F-Yeah’ American Pale Ale. 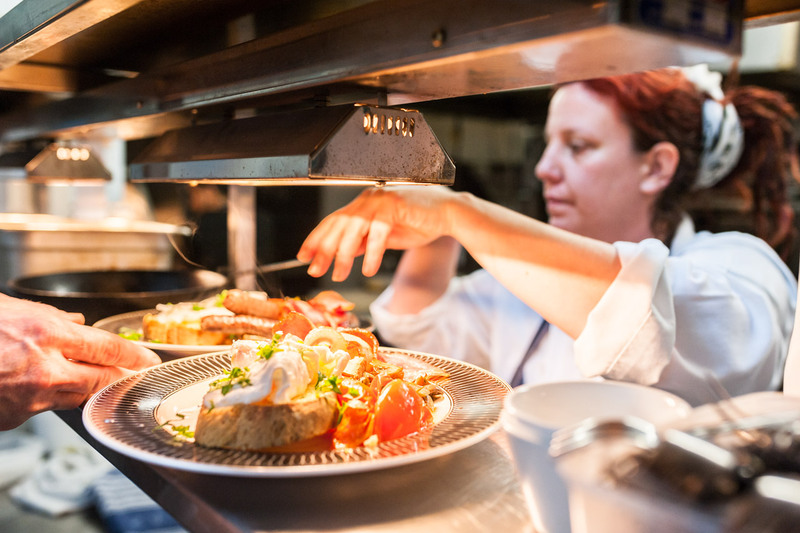 For dinner tonight Lyndoch Hill will be hosting another of their monthly dining experiences, ‘If You’re Game’. 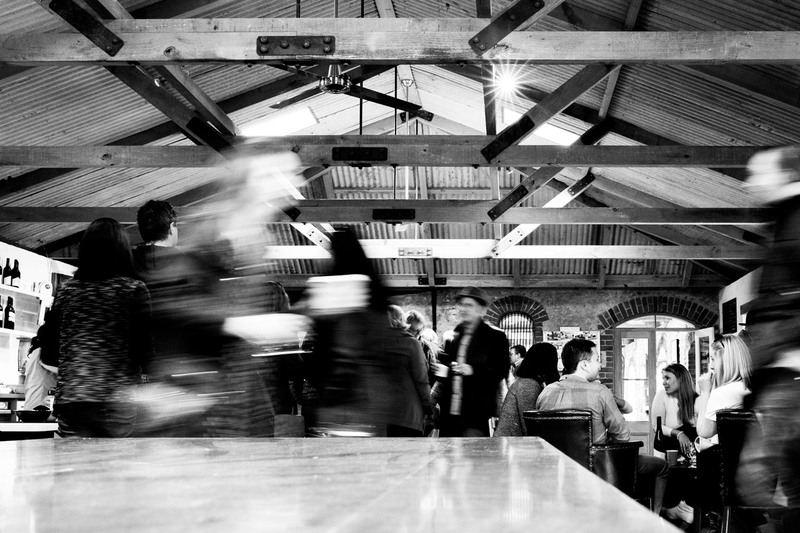 A long table feast in the wine shed with a meaty menu of wild goat, boar, venison and kangaroo accompanied by Creed Wines and hand crafted beer by Big Shed Brewing Co. If you miss out on tonight’s meal, be sure to grab your tickets to the next round on September 26. 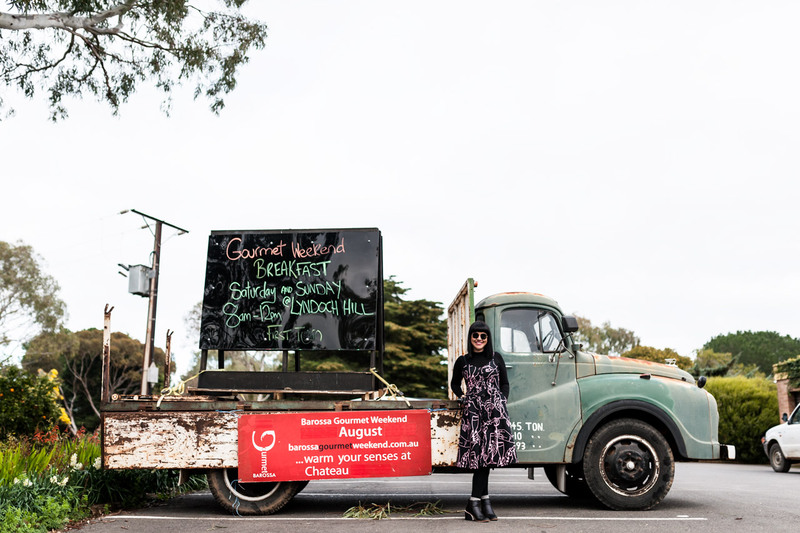 Lyndoch Hill expect to see around 2000 people come through for breakfast over the two main days of the Barossa Gourmet Weekend. 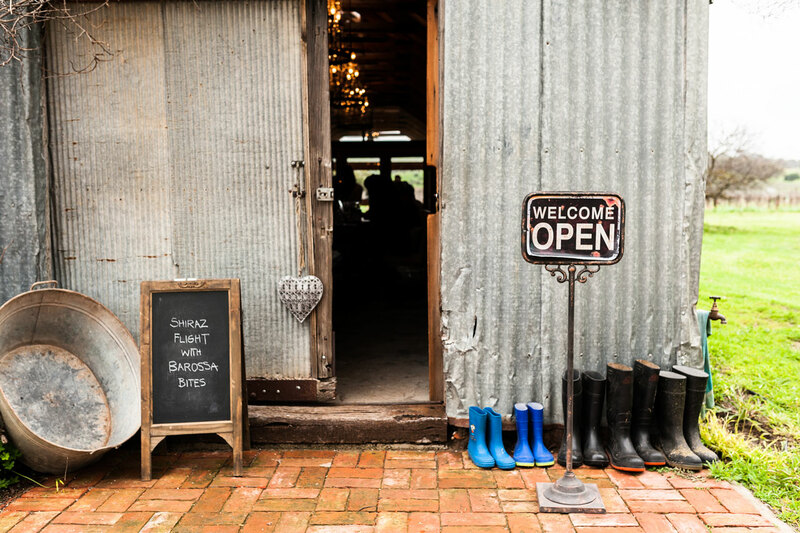 Next we were off to the award winning cellar door at Pindarie to check out Gourmet on the Western Ridge. My first impression? The views! 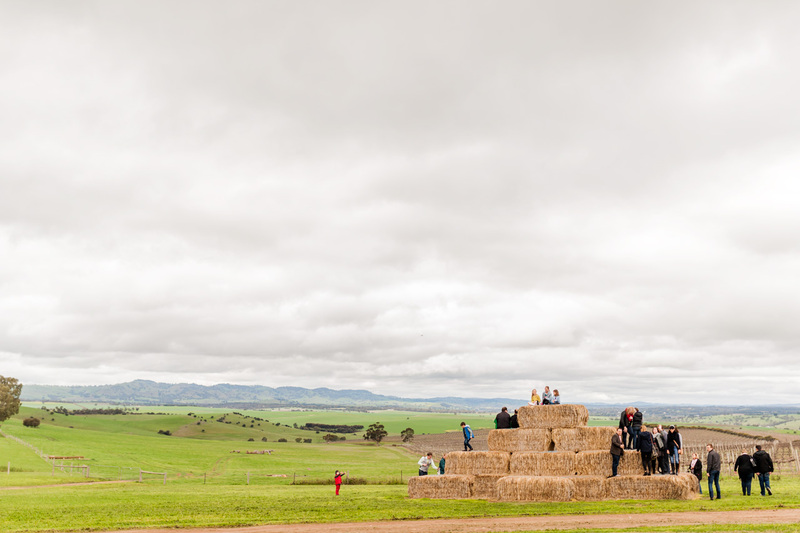 As I wandered around from the carpark to the cellar door, I was gobsmacked by the sight of the stack of hay bales overlooking the rolling valley and beyond. The place was bustling with people already piling out of coaches and listening to the band, E-Type Jazz, who are rocking their last gig. It was 11am and time for my first wine of the day. 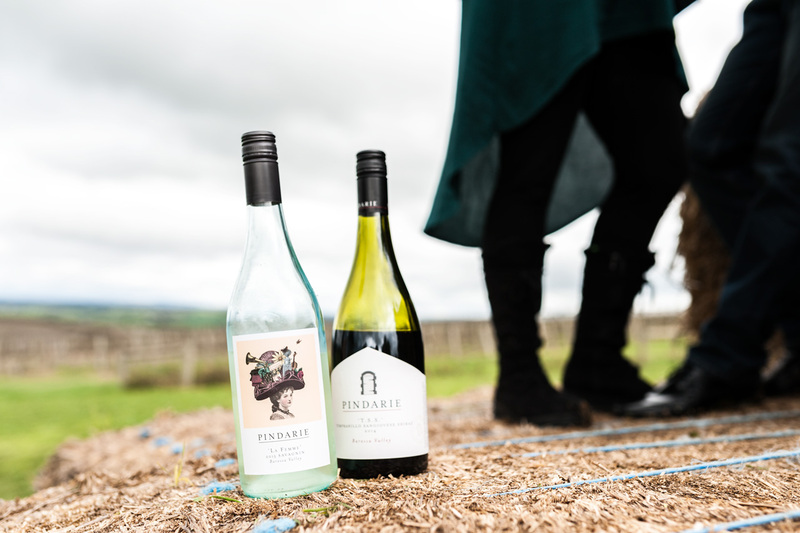 Although Pindarie are known best for their red varietals, I started with their crisp and clean 2015 Eden Valley Riesling followed by a tipple of the 2014 T.S.S. A tasty Tempranillo/Sangiovese/Shiraz blend. 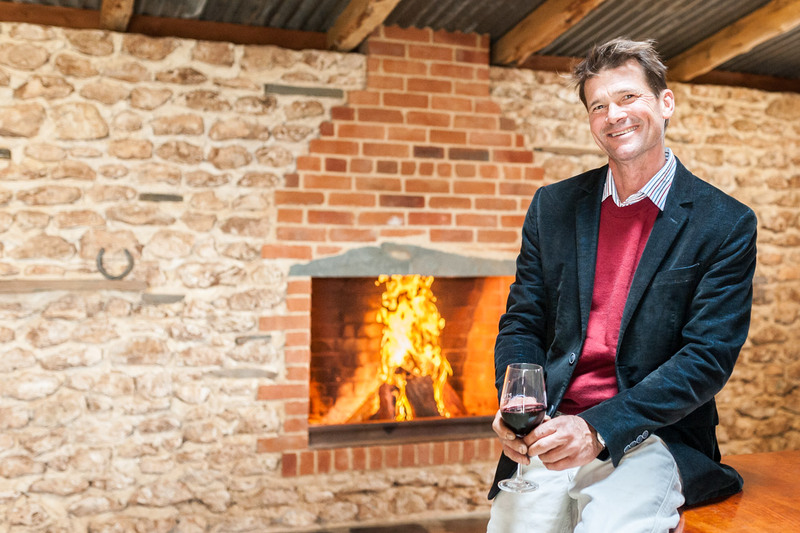 I got to chat to owners Wendy Allen and Tony Brooks who filled me in on the labour of love which is The Stables Wine Room, recently renovated and having opened on August 1st. Originally an 1860’s horse stable, Tony himself jumped on the tools refitting this beautiful space. He has installed a fireplace and refurbished the bar using pre-existing materials from the stable. The bar itself was once the feeding manger for the Clydesdale’s and made from pit sawn red gum wood. He also added the original hitching rail for the horses. The space will soon be used for corporate style functions and long table lunches. To find out more about this, visit the website. 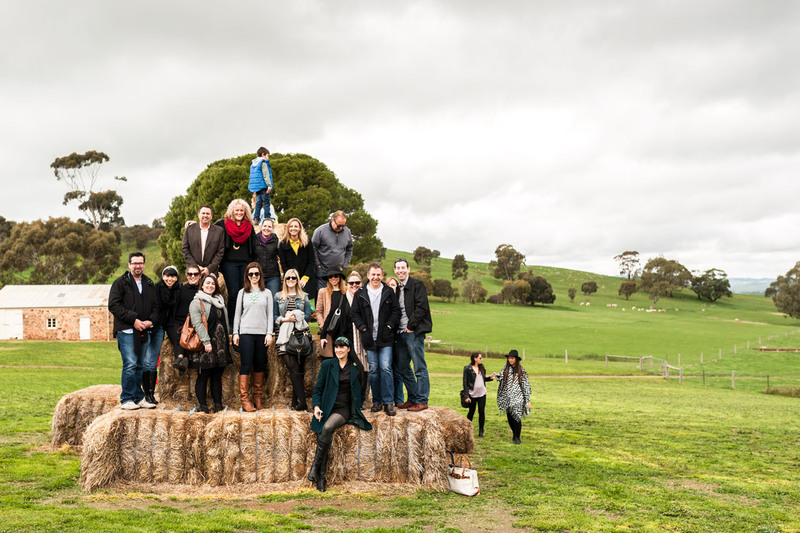 Wendy said of the Barossa Gourmet Weekend that ‘it’s something for everyone, both kids and adults’. This was said while the little ones were squealing and giggling atop the hay bales. Not going to lie, I was still uncomfortably full from our previous culinary indulgence, but I couldn’t help but sample a couple of items from the range of street food by Elli Beer of The Farm. When we’re talking Barossa Valley produce and a member of the Beer family, I knew I was in good hands. It was now nearing one o’clock which meant it was time to head to the next location. We jumped in the Jeep and headed off to Shiraz Flights with Barossa Bites at Hart of the Barossa . 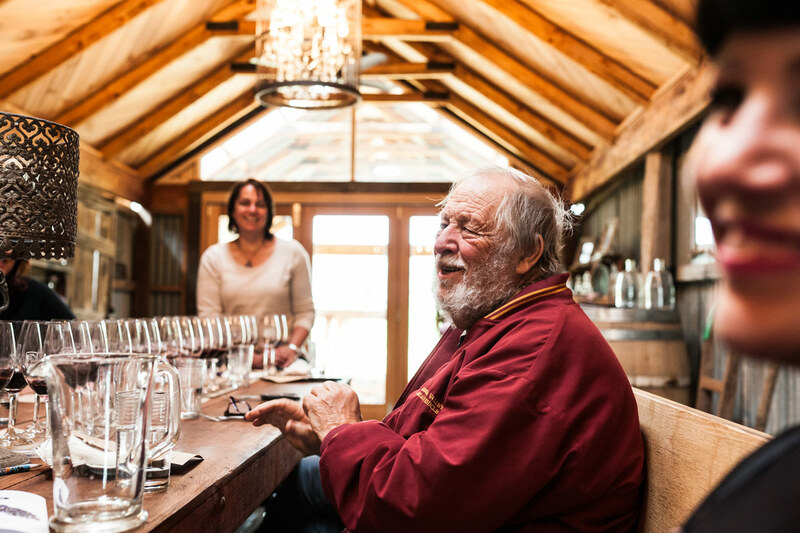 In an intimate and beautifully styled setting of 12 people, vintners Alisa and Michael Hart took us through a vertical flight of six vintages of the Barossa Valley Shiraz, plus a cheeky taste of a Cabernet. 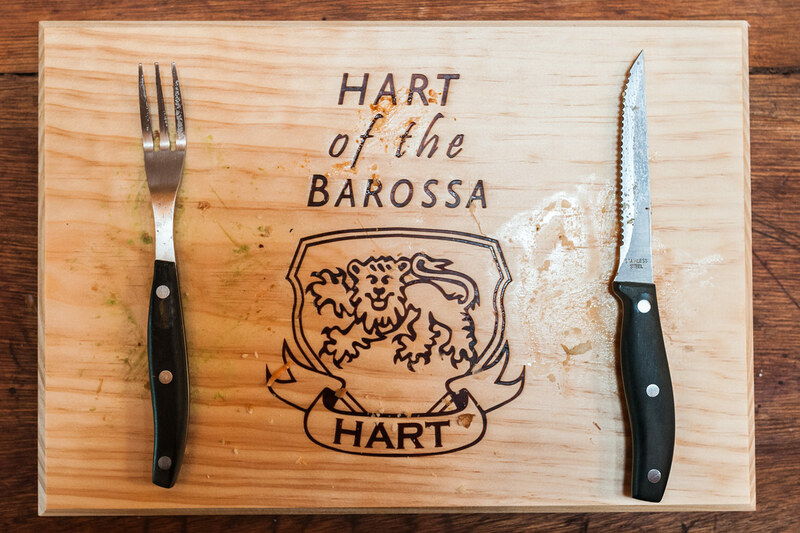 Catering chef Billy Dohnt (of ex-Salopian Inn fame) sorted us out for food, serving up a 2 course meal on beautifully branded Hart of the Barossa wooden boards. 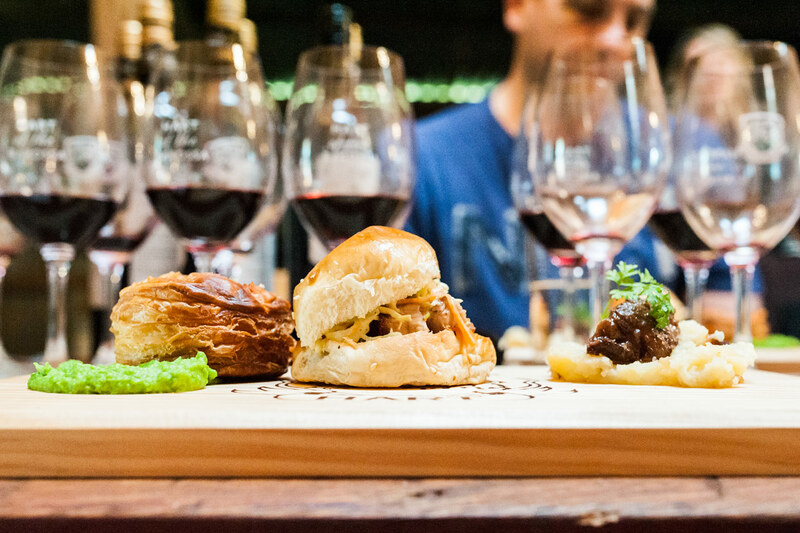 We started with a German influenced tasting plate followed by a rabbit pie with smashed broad bean, Saskia Beer pork belly slider and an 18 hour Shiraz braised beef cheek with roasted parsnip. 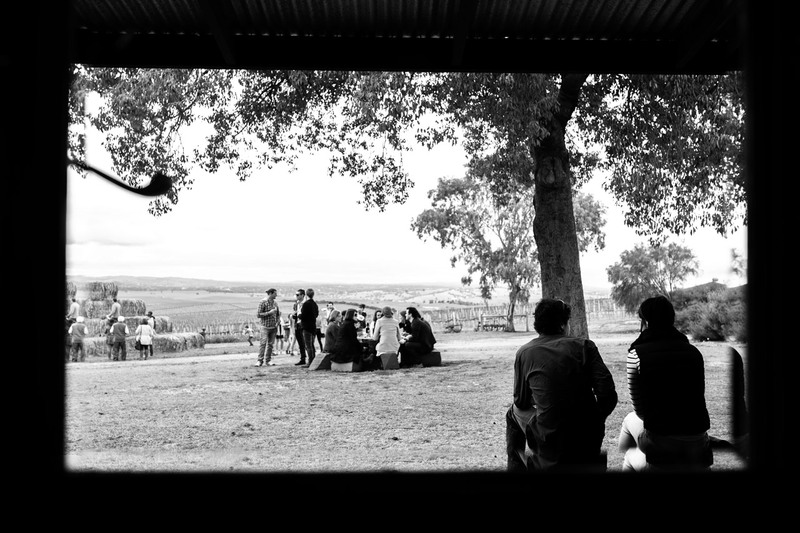 A small scale vineyard, one of the greatest things about this winery is that it’s the oldest organic vineyard in the Barossa Valley, certified since 1993. 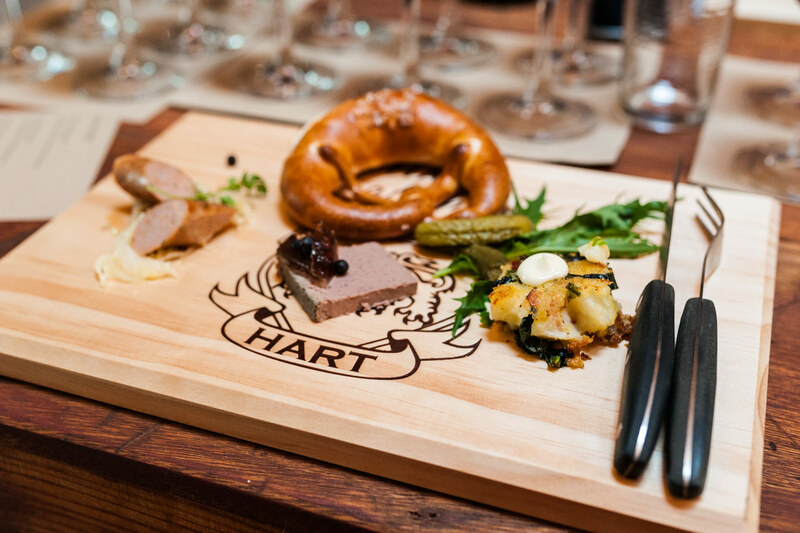 The Hart’s purchased the property in 2009 and open to the public for tastings on the first Saturday of every month. 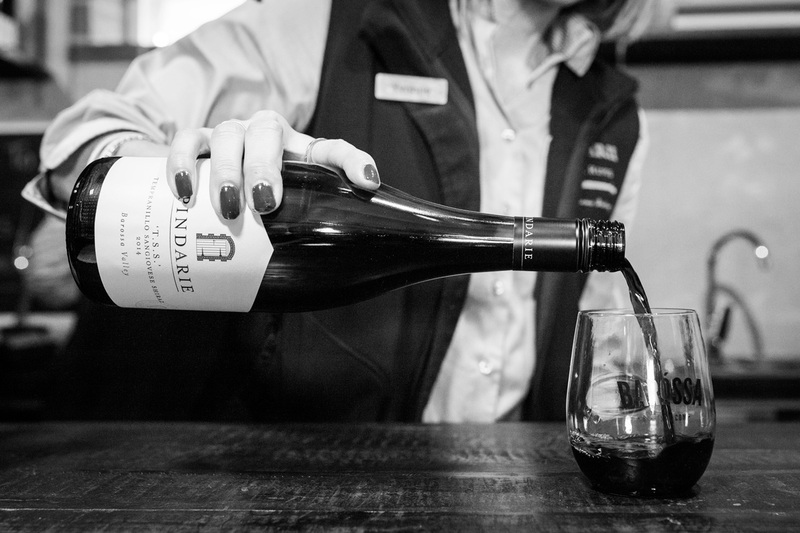 A family run operation, Alisa and Michael prefer a cellar door experience which is more up close and personal, a chance to really portray to their visitors what they’re all about and how they do it. A feature piece with more of the Hart story will follow in the near future. Although my daytime adventures are now coming to end and the sun has crept behind the clouds, my Barossa Gourmet experience is far from over. We’re off shortly to Kellermeister, to have a boogie to Blue Lagoon and get amongst the misty surrounds. In the event I’ve most been looking forward to, tonight I am off to the Beer V Wine Degustation Dinner presented by Barossa Valley Brewing. I can totally feel your pangs of jealousy from here. Incorporating a five course interactive dinner and debate, I will witness brewer and winemaker battle it out for whose booze best matches the food. 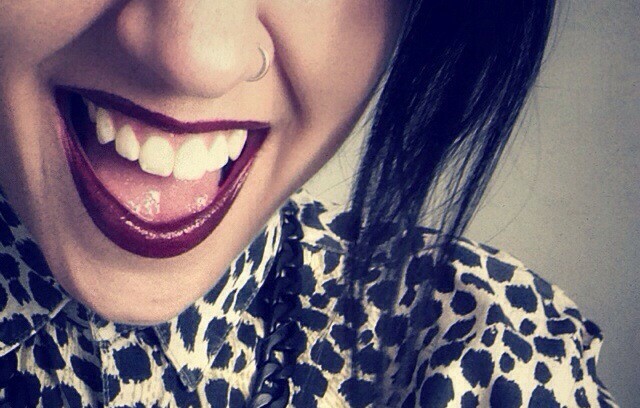 As the audience, we get to pick the poison. This one is going to be a cracker. Watch this space, words to come. I thank you for coming along for the ride with me. It’s been a big and beautiful day and it’s safe to say I’ve been well and truly consumed by the Barossa Valley. It’s not often I leave the creature comforts of my city living lifestyle but this, this is the way to do it. 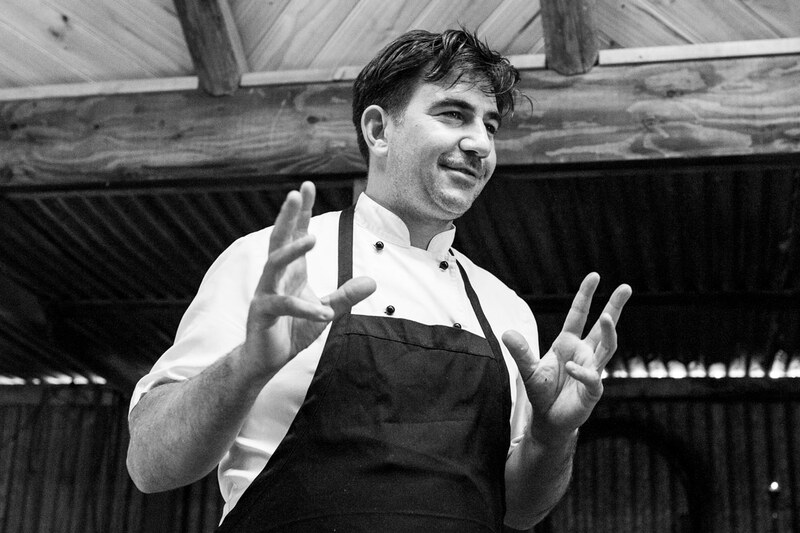 There is one more day to go for the Barossa Gourmet Weekend and still plenty to eat, drink and do so I strongly suggest you get involved. 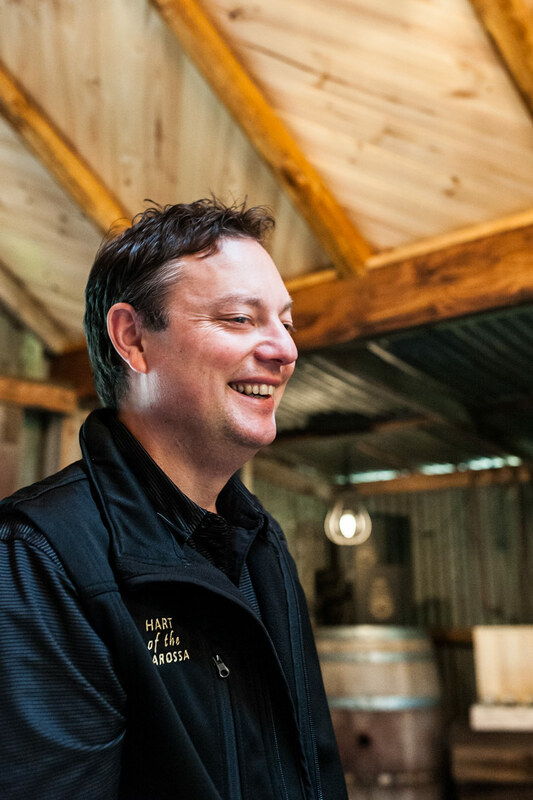 Stay tuned for the outcome of the great beer versus wine battle, and more about the great things Alisa and Michael are doing at Hart of the Barossa. 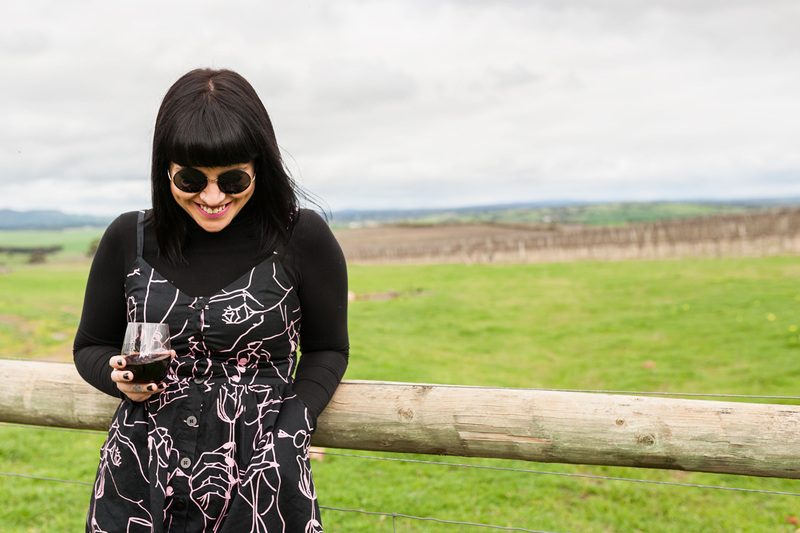 Steph in the Barossa, signing off.